Dr. Korf is Wayne H. and Sara Crews Finley Chair in Medical Genetics, Professor and Chair of the Department of Genetics, Director of the Heflin Center for Genomic Sciences at UAB, and Co-Director of the UAB-HudsonAlpha Center for Genomic Medicine. He is a medical geneticist, pediatrician, and child neurologist, certified by the American Board of Medical Genetics (clinical genetics, clinical cytogenetics, clinical molecular genetics), American Board of Pediatrics, and American Board of Psychiatry and Neurology (child neurology). Dr. Korf is past president of the Association of Professors of Human and Medical Genetics, past president of the American College of Medical Genetics and Genomics, and current president of the ACMG Foundation for Genetic and Genomic Medicine. He has served on the Board of Scientific Counselors of the National Cancer Institute and the National Human Genome Research Institute at the NIH. His major research interests are molecular diagnosis of genetic disorders and the natural history, genetics, and treatment of neurofibromatosis. He serves as principal investigator of the Department of Defense funded Neurofibromatosis Clinical Trials Consortium. 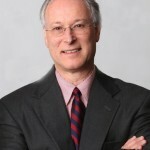 He is co-author of Human Genetics and Genomics (medical student textbook, now in fourth edition),Medical Genetics at a Glance (medical student textbook, now in third edition), Emery and Rimoin’s Principles and Practice of Medical Genetics (now in 6th edition), and Current Protocols in Human Genetics. Neurofibromatosis type 1 (NF1), was referred to in the past as “von Recklinghausen disease” or sometimes as “peripheral neurofibromatosis.” The term NF1 is now preferred. It is a genetic disorder that can affect many systems of the body. The hallmark features are patches of brown pigmentation on the skin (café-au-lait spots) and benign tumors that arise from the tissue that surrounds nerves (neurofibromas). Neurofibromas can cause cosmetic problems, disfigurement, and, in some cases compression of critical structures such as the airway or the spinal cord. Other features include problems in bone growth, learning disabilities, high blood pressure, and risk of malignant tumors in the brain or elsewhere in the body. NF1 is a genetic disorder that is passed from generation to generation as a dominant trait. About 50% of cases occur without prior family history due to new mutation of theNF1 gene. Genetic testing is available and clinical trials are underway to test new approaches to treatment. The condition tends to begin in early childhood. It can be slowly progressive and unpredictable. Symptoms vary widely from one individual to the next, even within the same family. Most individuals with NF1 are affected mildly and have a normal lifespan. However, in some, life-threatening problems, especially cancer, can occur. NF1 is a lifelong condition that requires vigilance for treatable complications. The symptoms of NF1 can be highly variable and unpredictable and many do not appear in young children. Virtually no one with NF1 develops all of the symptoms. The list below highlights some of the more common manifestations of the disorder. Pigmentation – The first sign of NF1 is usually the development of tan to brown patches on the skin. These are called café-au-lait spots. The patches usually appear in the first year of life. These can be as small as a few tenths of an inch or as large as many inches in size. They are flat and a few shades darker than background skin color, so they are not difficult to see even in darkly pigmented individuals. In some cases, a physician may use a blue light (called a Woods lamp) in a darkened room to better see café-au-lait spots, though this is usually not necessary. Some café-au-lait spots may be present at birth, but usually they begin to appear in the first few months of life and continue to appear until about two years of age. NF1 is suspected when there are at least six café-au-lait spots measuring at least 5 mm (about a fifth of an inch) in diameter in a young child. It is not unusual for anyone to have 1-3 café-au-lait spots. In most children the diagnosis of NF1 is confirmed when freckling begins to appear, usually first in the groin region and eventually under the arms and at the base of the neck. There is no correlation between the number of café-au-lait spots and the severity of NF1 or the location of café-au-lait spots and the eventual location of neurofibromas. Some children will have a very large pigmented spot that may have irregular borders that is present at birth. This kind of pigmented spot sometimes is associated with a plexiform neurofibroma (see below) in the underlying tissues. Neurofibromas – The condition gets its name from the characteristic tumors called neurofibromas. These are benign growths that arise from the tissue that surrounds nerves and can occur anywhere on or in the body where nerves are located. They are usually most visible on the skin where they appear as small bumps. In most cases, they are the size of a mosquito bite or pencil eraser. Sometimes, neurofibromas occur within the skin and appear as a small indentation in the skin, often with an overlying pinkish or purplish coloration. Young children may have a few neurofibromas on their skin, but most people do not develop significant numbers of skin neurofibromas until puberty. From that time onwards, neurofibromas tend to appear or grow gradually and unpredictably. Some people with NF1 develop only a few small skin neurofibromas, whereas others can be covered all over the body with thousands. About 50% of individuals with NF1 develop a type of neurofibroma known as a “plexiform neurofibroma.” Plexiform neurofibromas grow along the length of a nerve and may form a network of enlarged nerves. If present on the surface of the body, plexiform neurofibromas can cause overgrowth of skin and soft tissues and may be disfiguring. Those located deeper inside the body may be asymptomatic or can cause problems due to compression of nearby structures, such as the airway or spinal cord. Bone disorders – Approximately 1-3% of children will have curvature of a “long bone” – usually the shin bone, involving the tibia and/or fibula. This can result in fracture, in which case it can be very difficult to achieve healing. Sometimes a pseudoarthrosis (“false joint”) will occur at the site of fracture. Another 1-3% of children with NF1 will have an abnormality of the bones surrounding the eye (the “eye socket” or orbit), leading to facial deformity. Often this is associated with a plexiform neurofibroma within the orbit. These bone problems are apparent within the first year of life if they are going to happen. Curvature of the spine (scoliosis) occurs in about 10%. Only a small proportion of children have a sufficient degree of scoliosis to require surgery. Learning disabilities – At least 50% of children with NF1 have some kind of learning disorder. It can vary from severe impairment of development to problems with areas such as reading, math, etc. Attention deficit disorder and hyperactivity are common, as are problems such as social immaturity, poor speech articulation, and lack of coordination. Brain tumors – Approximately 15% of children with NF1 have enlargement of the optic nerve (the nerve from the eye to the brain) or the optic chiasm (place where the two optic nerves meet in front of the brain). Most of these children are unaffected by this nerve enlargement. However, some have loss of vision or problems with hormone secretion, often resulting in early onset of puberty. This optic nerve enlargement is due to a tumor called optic glioma. Other areas of the brain may be affected by tumor growth; sometimes, these, too, are clinically silent, but other times tumor growth may cause problems such as headache, seizures, or paralysis. Malignant tumors – Although neurofibromas are benign tumors, in 8-13% of affected individuals a neurofibroma may become malignant. This does not happen to the small skin neurofibromas, but rather affects the larger plexiform neurofibromas on the surface or deep inside the body. These malignant peripheral nerve sheath tumors can occur in adolescence or adulthood and become apparent because of pain or sudden growth of a neurofibroma. High blood pressure – Some people with NF1 develop a narrowing of the major artery that supplies the kidney, which can result in high blood pressure. This can occur in children or adults. Adults can also develop high blood pressure due to a tumor of the adrenal gland called pheochromocytoma. This is a rare occurrence. enlargement of parts of the body due to plexiform neurofibromas. In addition, children with NF1 often are small for their age, though not to an extreme degree. They do tend to grow, though sometimes slower than expected. In spite of slow growth, they often have relatively large head size (macrocephaly), though this in itself does not cause medical problems. In rare instances, puberty may occur prematurely or be delayed. Some children with NF1 have distinctive appearance that may include slight generalized increase in pigmentation, facial features such as widely spaced eyes and thick lips, and large hands and feet with loose skin. In rare cases there may be narrowing of the blood vessel from the heart to the lungs, referred to as pulmonic stenosis, which may cause a heart murmur to be noted. NF1 is a genetic condition that can run in families from one generation to the next. This is referred to as dominant inheritance. NF1 is due to an alteration (mutation) of a gene, called the NF1 gene, located on the 17th chromosome. Aside from the genes on X and Y chromosomes, everyone inherits two copies of every gene. Only one of the two copies of the NF1 gene needs to be mutated to result in NF1. In fact, if a person were to have both copies mutated in every cell of their body from the time of conception this would not permit normal development to occur and the individual would not survive to be born. A person who carries a mutation in one copy of the NF1 gene will invariably develop signs of the condition and will face a 50% chance of passing the gene on to any of his or her children. A child who inherits the gene mutation will, in turn, develop signs of NF1. The condition can vary in severity from one person to the next in a family, even in two siblings or from parent to child. Although NF1 can run in a family, approximately 50% of cases arise in a child whose parents are not affected. This occurs due to new mutation of the NF1 gene that has occurred in the sperm or egg cell that formed the child. There is no known cause for such mutations. It is believed to occur as random events when the genetic material is copied to make new sperm or egg cells. In such cases, the child will have a 50% risk of passing NF1 on to his or her future offspring. If both parents are indeed unaffected, they are unlikely to have another affected child, except in the rare case where there might be additional sperm or egg cells that carry the NF1 mutation. Usually the recurrence risk for the parents is quoted as being 1% or less. Some individuals have signs of NF1 that are confined to a restricted region of the body, for example an arm or leg or part of the trunk. The signs may consist only of café-au-lait spots and skin fold freckling, or may include neurofibromas. This is referred to as segmental NF1. It occurs when the NF1 gene mutation is acquired during early development so that the body is a mixture of cells with and without an NF1 mutation. Segmental NF1 always occurs as the first instance of NF in the family. However, individuals with segmental NF1 can transmit full NF1 to an offspring if sperm or egg cells carry the mutation. Children with NF1 may complain of headaches, and sometimes also nausea or abdominal pain. In the absence of other neurologic problems, the headaches, and sometimes also the stomach aches, are often due to migraine. Headaches or any other unexplained pain should be discussed with the child’s physician to insure that such problems are investigated and managed. Neurofibromas are not usually painful, though plexiform neurofibromas may hurt for a short time if they are bumped. Persistent unexplained pain should be brought to medical attention as this can be a sign of malignant change of a neurofibroma. The diagnosis of NF1 is made clinically and does not require imaging. Genetic testing is available (see below). Imaging studies are used to investigate signs or symptoms, but are not recommended as screening tests in asymptomatic children or adults with the disorder. Children are at risk for optic glioma. They should be examined by an ophthalmologist annually until around 7 years old. Findings of visual loss should be investigated by brain MRI. Imaging studies are used to assess plexiform neurofibromas that are causing symptoms or are growing. The frequency of scanning for optic glioma or plexiform neurofibroma depends on the size of the tumor, the degree to which it is causing symptoms, and the degree to which symptoms are progressing. Imaging studies performed for investigation of clinical problems in NF1 usually are covered by insurance. Many insurance plans will require pre-authorization. MRI scans of the brain in children with NF1 often reveal areas of increased signal sometimes referred to as “NF spots.” These are benign and do not require special follow-up. They tend to disappear by adulthood and are not predictive of tumors in the brain. It does not convey a risk of tumors such as neurofibromas or malignancy. NF1 can be distinguished from Legius syndrome by genetic testing. NF1 is much more common than Legius syndrome. Genetic testing usually begins with the gene for NF1 and then may be extended to the gene associated with Legius syndrome (SPRED1) if NF1 testing is negative. Genetic testing will detect approximately 95% of the mutations associated with NF1. It does not predict the specific manifestations or severity of NF1, with a few notable exceptions. Approximately 3-5% of affected individuals have a deletion of genetic material that includes the NF1 gene and many surrounding genes. These individuals have a particularly severe phenotype, with a large number of neurofibromas and impaired development. Genetic testing can be used to diagnose these individuals. Genetic testing can also distinguish NF1 from a separate disorder called neurofibromatosis type 2, or NF2. NF2 is associated with nerve sheath tumors called schwannomas — in particular, schwannomas of the balance nerve (vestibular nerve), which runs along with the hearing nerve from the ear to the brain. NF2 is due to mutation in a gene different from NF1, called the NF2 gene. It is usually not difficult to distinguish NF1 from NF2. However, some individuals with NF2 may have multiple café-au-lait spots which sometimes causes confusion of the two conditions. Although genetic testing may not be necessary to establish a diagnosis for an individual who fulfills the National Institute of Health (NIH) criteria for NF1, it can be useful to serve as a basis for genetic counseling of family members. It can also be used to provide prenatal diagnosis for an individual who is at 50% risk of passing the gene to an offspring. Prenatal diagnosis can be performed if the NF1 mutation in the parent is known and fetal tissue can be obtained by amniocentesis at 16-18 weeks pregnancy or chorionic villus biopsy at 10-12 weeks. Some couples have elected to have preimplantation testing. This means the mother’s eggs are fertilized with the father’s sperm outside the body. Eight cell embryos are allowed to develop and then one cell is removed and tested. Only embryos not found to carry a mutation are then implanted into the mother. There is no definitive treatment for NF1. In particular, no medication currently exists that will prevent or reverse the complications. Management is therefore limited to surveillance for complications and then specific treatment for particular complications. A child with NF1 should be followed by a physician who is familiar with the disorder, typically done once per year or more often if there are specific complications. Neurofibromas are usually left alone unless they are causing a symptom such as pain or are compressing a vital structure, such as the spinal cord. Dermal neurofibromas can be removed easily, usually by a plastic surgeon or a dermatologist. These tumors can be removed surgically or by using a laser. Isolated internal neurofibromas require surgery if they are causing symptoms. It is usually not possible to completely remove plexiform neurofibromas. The tumors typically grow back if surgery is done to partially remove a tumor. Partial removal is sometimes necessary, however, if significant symptoms of compression of a vital structure are present. Bone problems associated with NF1 are treated by an orthopedist. If the shin bone is found to be bowed, the leg is usually placed in a brace to protect it from fracture. Scoliosis is usually monitored by an orthopedist. Surgery may be necessary if it progresses to a point where it is severe. Optic gliomas most often do not require treatment but in some children, they may grow and cause loss of vision. Symptomatic tumors are treated with chemotherapy, usually a combination of vincristine and carboplatin. Radiation therapy is not usually used as an initial treatment for optic glioma due to complications that are especially severe in NF1. Tumors suspected of malignant change require biopsy or surgical resection to establish if they are malignant. Additional treatment, including radiation and/or chemotherapy may also be required. Children with NF1 should be monitored closely for the occurrence of learning disabilities. If these are suspected, comprehensive neuropsycologic assessment should be completed and an appropriate plan for remediation put into place. Children with NF1 often display hyperactive behavior and respond to standard interventions including use of stimulant medications. Some children with NF1 have low muscle tone and poor coordination and may benefit from physical or occupational therapy. Those with speech articulation problems may benefit from speech therapy. Significant progress has been made towards understanding how various complications of NF1 occur. This has resulted in clinical trials to test new approaches to treatment. These clinical trials are conducted at many research centers in the US and elsewhere in the world. They have strict eligibility criteria to insure that reliable results are obtained to determine whether a specific therapy is effective. The web site www.clinicaltrials.gov is a reliable source of information on ongoing clinical trials. The overall prognosis for a child with NF1 depends on the presence of specific complications of the disorder. Most individuals live a long and healthy life, though they may develop cosmetic problems or significant learning disabilities. Life expectancy is normal for most individuals with NF1. However, about 10% may develop a life-threatening complication such as cancer. Persons with NF1 can live independently and complete advanced education. An estimated 5% will have significant developmental impairment that may require long-term support. Some complications of NF1 occur early in life. Thus, if they are not present at an early age, they probably will not occur. Most plexiform neurofibromas are present in the first 2-3 years of life. These tumors usually grow most rapidly before puberty. Therefore, a child who does not already have a large plexiform neurofibroma will probably not develop this kind of tumor. Optic gliomas, if present, usually progress by about 6 years of age. Bowing of the leg is usually diagnosed within the first year of life. Malignant tumors may occur at any time in life, but most often in adolescence or young adulthood. The most common long-term problem associated with NF1 is disfigurement due to the presence of multiple dermal neurofibromas. These are rarely problematic until after puberty. However, they then can increase in size or number at any time. Women often notice an increase in dermal neurofibromas during pregnancy. Dermal tumors do not regress on their own. The ultimate number a person will get is unpredictable. Children and adults with NF1 may experience anxiety due to the uncertain nature of the condition. They may be subject to ostracism due to the disfigurement associated with the disorder. Psychologic support may be necessary to help to deal with these issues. It may be helpful to inform teachers of a child’s diagnosis, particularly if it is associated with obvious deformities or if it causes significant learning problems. There are no specific restrictions on diet or activity associated for children with NF1. No specific foods have been found to be either harmful or helpful, and vitamin supplementation has not been shown to alter the course of the disorder. Children can have normal physical activity unless there is a specific complication, such as a spinal tumor, that requires limitation. There is no way to prevent the disorder other than to offer prenatal diagnostic testing to those at 50% risk of passing NF1 to a child. Since approximately half of the cases are due to a new mutation, prenatal testing will not detect all new cases of the disorder. Similarly, there is no way to prevent the occurrence of specific complications of NF1. Care is focused on surveillance for treatable complications and referral to appropriate specialists if complications do occur. Children’s Tumor Foundation – ctf.org. This is a patient advocacy organization devoted to all forms of neurofibromatosis in both children and adults (in spite of the name). It provides patient education and raises funds to support research on neurofibromatosis. Neurofibromatosis Network – nfnetwork.org. This is another patient advocacy group involved in patient education and fundraising. Genetics Home Reference – http://ghr.nlm.nih.gov. This is a site maintained by the National Institutes of Health that provides information about various genetic conditions, including NF1. UnderstandingNF1 – understandingnf1.org. This site includes a video of a genetic counseling session with a family who have a child with NF1, as well as other educational materials about the disorder. clinicaltrials.gov – authoritative web site maintained by the US government that lists current clinical trials for multiple conditions, including NF1. Gutmann DH, Aylsworth A, Carey JC, Korf B, Marks J, Pyeritz RE, Rubenstein A, Viskochil D. The diagnostic evaluation and multidisciplinary management of neurofibromatosis 1 and neurofibromatosis 2. JAMA. 1997;278(9207339):51-7. Gutmann DH, Blakeley JO, Korf BR, Packer RJ. Optimizing biologically targeted clinical trials for neurofibromatosis. Expert Opin Investig Drugs. 2013;22(4):443-62. Korf BR, Rubenstein AE. Neurofibromatosis: A Handbook for Patients, Families, and Health Care Professionals. New York: Thieme Medical Publishers; 2005. North KN. Neurofibromatosis 1 in childhood. Semin Pediatr Neurol. 1998;5(4):231-42.